It was only in Boston where a newspaper came off a printing press prior to any in Pennsylvania. 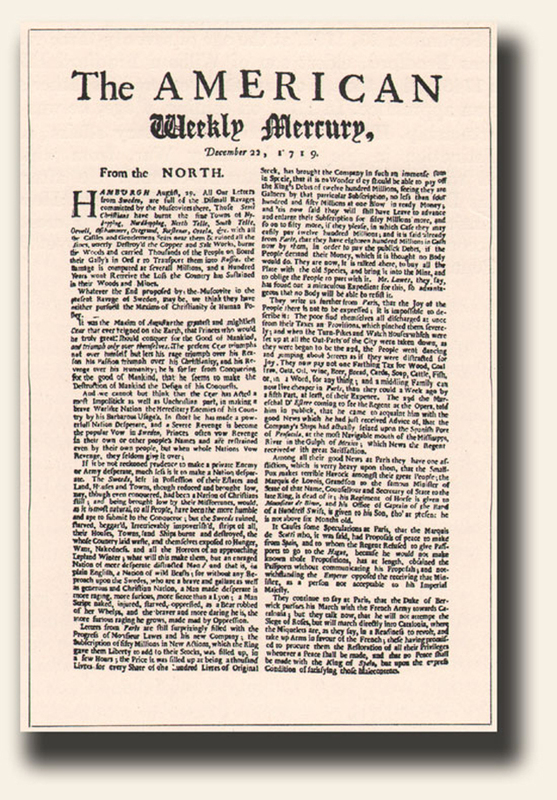 It was 15 years after the “Boston News-Letter” of 1704 (not counting the one-issue run of Boston’s “Publick Occurrences Both Foreign & Domestick” in 1690) when, on December 22, 1719, Andrew Bradford began his “American Weekly Mercury” (see image) in Philadelphia, Pennsylvania’s first newspaper. This weekly would last until 1746. 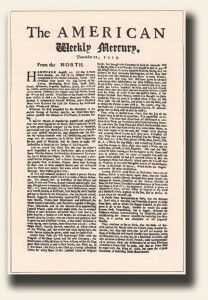 But certainly the most successful newspaper in the colony, if not in all of colonial America, was the “Pennsylvania Gazette” begun in December, 1728 by Samuel Keimer. Within a year it was purchased by Benjamin Franklin. 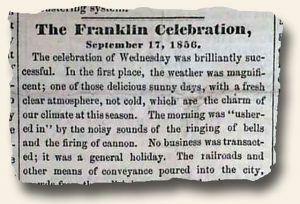 As Oswald notes: “…Under Franklin’s guidance, there appeared for the first time a colonial newspaper produced by a man of education who was in addition a capable printer, a versatile writer, and energetic news gatherer and an enterprising & resourceful businessman. This combination had the inevitable result of placing the “Pennsylvania Gazette” in the lead, and it thereby established a model for others to follow.” The “Gazette” would make Franklin a wealthy man and his name appeared on the imprint through 1765. Pennsylvania has the distinction of having America’s first daily newspaper, the “Pennsylvania Evening Post & Daily Advertiser“, which started publication in 1775 as a tri-weekly and became a daily on May 30, 1783. 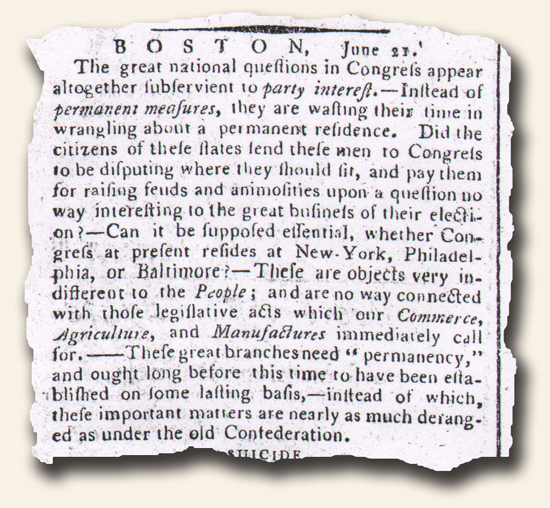 The December 11, 1775 issue of the “Hampshire Chronicle” from Southampton, England, includes a witty note from Ben Franklin to a friend in London, which appeared in several newspapers of the day. By his mind, the Revolutionary War was not going to be won by England through attrition. This book essentially condenses and annotates Madison’s notes taken throughout the Convention so that the language and the important concepts that were discussed can be understood today. The book includes a list of those attending the convention and their respective states. When you keep a copy of this list handy while reading the notes, you can get a clear picture of the regional motives behind the discussion as the constitution was developed. This book, in conjunction with The Founding Brothers, John Ellis, were both extremely helpful in developing a working understanding of what I consider to be one of the most interesting 10 to 20 year time period in US history. I thought that in addition to all of your other reading, these two items may be interesting and helpful. Thanks for your suggestions Jim. To the readers of this post: “If you have a chance to read either of these (or have already done so), the community would love to hear your reactions as well. Another book I find very useful, although out of print, is “Printing In The Americas” by John Clyde Oswald, 1937. From time to time I will print excerpts from it which hopefully will be of interest to collectors, including the following which touches upon the very earliest years of printing in the “new world”. “Printing in the English colonies began during the first half of the 17th century, at which time the art was at a low ebb in Europe, and it is therefore not surprising that the printers who came to the western shore of the Atlantic Ocean were not of outstanding ability; they were but representative of the class from which they sprang. The first person to print in what is now the United States was a boy 18 years of age, upon whose immature shoulders had unexpectedly been thrown a heavy burden of responsibility. 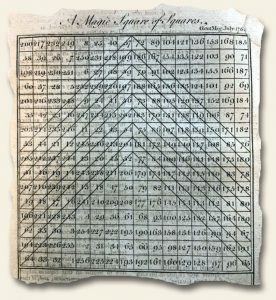 This boy, Matthew Daye (later in life he dropped the final ‘e’), began to print in a newly built house on the bleak shore of New England, on the edge of the forbidding wilderness that surrounded it on all sides but that which faced the sea. The year was 1638, just 18 years after the Pilgrims landed. A new nation was in the making, in which life eventually came to embrace everything worth while, but in which in the beginning, as was to be expected, artistic accomplishment & progress were almost wholly absent. The settlers were too much occupied with the immediate necessity of clearing away the forests, harnessing the water power, building homes, founding towns and setting up local governments, to be able to find time to devote to the refinements of daily living. The primal wants had first to be satisfied. Then came the Revolutionary War, with its strain upon their resources, and later the need of facing and solving the world problems that accompanied the birth of the new nation. The scarcity of great printers in Europe during the 17th century is to be ascribed to the fact that printing, controlled by Church and State, had ceased to be a means of art expression and had become merely a vehicle for the transmission of information (and misinformation). In England the number of printers and type founders was limited, and they were licensed and operated under strict surveillance. Restrictive measures of a somewhat similar nature were enforced in other countries.